As a general rule, I always recommend a prepurchase examination when purchasing or acquiring a horse. Typically, the least expensive part of owning a horse is the purchase price and you want to know what you are contending with. Full health exam including eyes, teeth, heart, lungs, G.I., skin, and other body systems. Full soundness evaluation watching the horse move at the walk, trot, and canter. In both the straight line and circling. Flexion tests on all joints. Palpation of ligaments and tendons. If radiographs are requested, or recommended based on exam findings, we have the ability to take them on site. Our digital radiograph equipment allows us to visualize structures immediately and provide you with all the information you need to make the right decision. I recommend looking for a Veterinarian who is not the owners regular veterinarian. This provides for a purely objective examination. You want the veterinarian working for you, not the seller. More information on Prepurchase exams can be found here on the AAEP website. February is National Pet Dental Awareness Month!!! 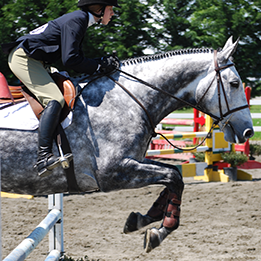 Is Your Horse Ready For Show Season? Copyright © 2019 Pacific View Equine. All rights reserved.